Photographs courtesy of Automobili Lamborghini. Twenty-five minutes. That’s the average time it takes for someone to drive from downtown Vancouver to North Vancouver. But taking that route (if rush-hour traffic is not a factor) in the 2018 Lamborghini Huracán Performante Spyder? Let’s just say, it’s a bit faster. Released in March, the 2018 Spyder’s 5.2-litre V-10 engine achieves 100 kilometres per hour in a rip-roaring 3.1 seconds, and goes up to an impressive top speed of 325 kilometres per hour. 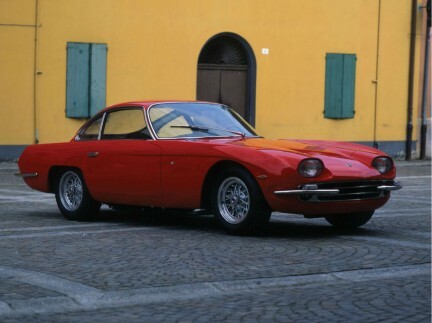 This is not entirely necessary when cruising along Highway 1, but it sure is fun to weave one’s way through other cars in a ruby-red model draped with Italy’s colourful flag along the sill. 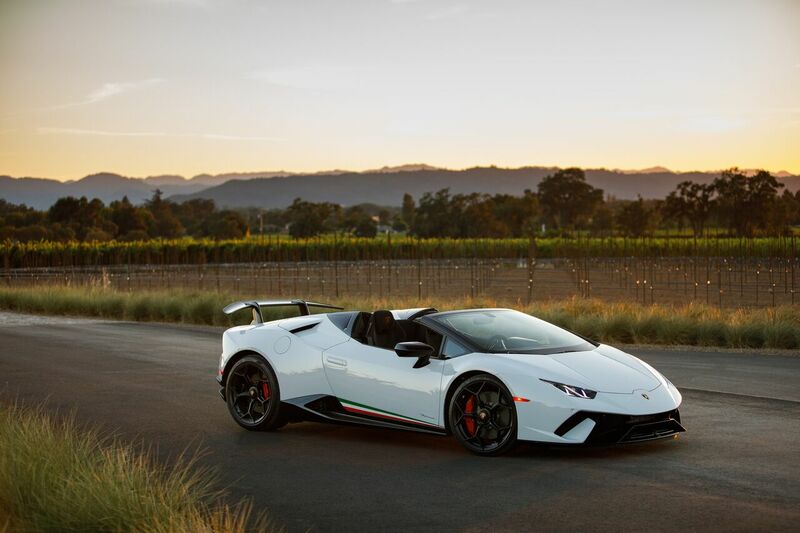 The Huracán was named the supercar of the year by Top Gear in 2014, and 2018’s 640-horsepowered Huracán Performante Spyder is more or less the convertible version, with a few new elements to make the Lamborghini adventure better than ever before. 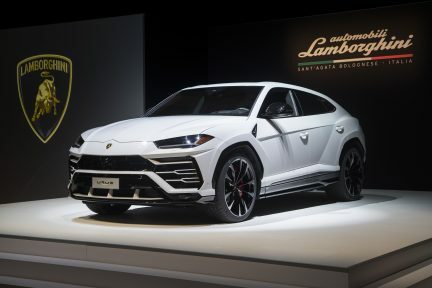 In Canada’s unofficial luxury car capital of Vancouver, Lamborghini sales manager Robert Rons shares that this latest model brings a few improvements to the experience, including an electrohydraulic retractable soft-top that does not compromise the hexagonal, structural aesthetic found on the roof of a coupe. 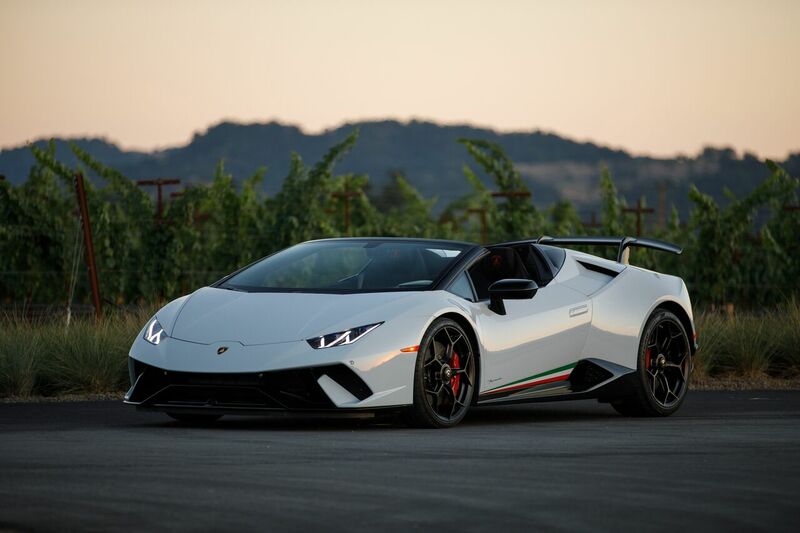 The vehicle is also 35 kilograms lighter than the original Huracán Spyder, and this is thanks to the patented Lamborghini Forged Composite carbon matter utilized for the exterior; it is moulded and pressed instead of woven, making its unique angles more visible. Inside, the cushy seats are surrounded by accessories like a digital navigation system, a satellite radio, and a hidden cup holder, to name a few. Despite the soft-top giving drivers the chance to experience the elements, it does not affect the aerodynamic system, as Lamborghini’s signature Aerodinamica Lamborghini Attiva as well as the Lambo Dynamic Steering maintain the vehicle’s responsiveness to terrain. 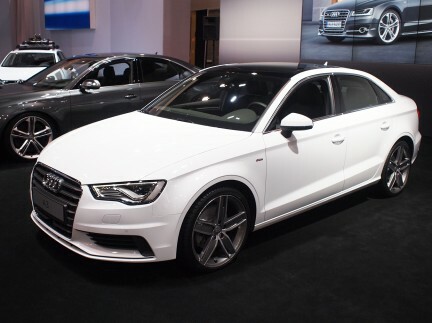 Direct steering is highlighted while navigating through the city, and the seven-speed dual-clutch transmission is accessible when placed into Corsa mode, perfect for a zip along the highway in North Vancouver and across the Iron Workers Memorial Bridge. Previous Huracán variants were missing the exceptionally satisfying noise found during acceleration, but this model growls beautifully when switched into the aggressive Strada with a flick of the thumb under the steering wheel; with Strada engaged, the sound of the exhaust cracks and pops while one’s whole body vibrates along with the car. 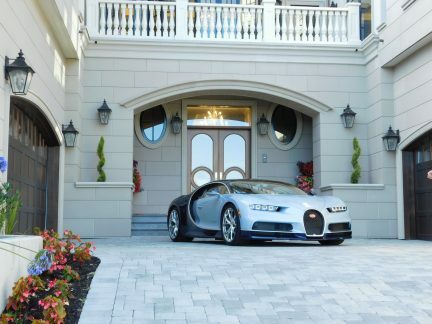 Expect a look or two of admiration and awe—and enjoy it. After all, that’s half the Lamborghini fun.